We are Warriors! We are Many! 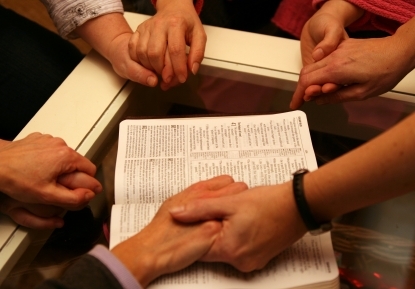 We are devoted to the word of God. 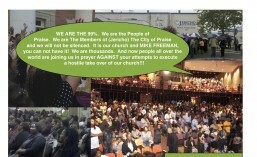 We love the Lord and we are the 99% of the Jericho congregation that did not have a voice. We are exercising our first amendment rights in the church that Jesus died for, the church that Bishop James and Apostle Betty Peebles stood for and their living son Bishop Joel R. Peebles Sr., has been attacked for. We are members of the body of Christ, filled and led by the Holy Spirit, taught and nurtured by the Late Bishop James Peebles and Apostle Betty P. Peebles. We are operating out of the branch of Zion at the City of Praise Church in exile and we are supported by many other saints. WE stand on the Word of GOD through Praise. We also stand with the Congregational Letter by the Spirit for Spirit, as we Spiritually walk in Iron Shapping Iron. Thanks Tyrell. We will return to our property this year. God bless you!